In the mid-1990s a medicated grungy girl stopped taking her medication (Prozac), crossed over a rainbow, and became a woman in a crazy, wonderful place called San Francisco. Lulu, Rocio, and Illusion are struggling with the sexuality and gender roles that we all play. It is said that there is someone for everyone, and the heroines in this story put that theory to the test in a city with a history of love at its core - but will they respect themselves in the morning? DELUSIONS OF GRANDEUR is a bright and colorful presentation of the struggle from adolescence into adulthood. 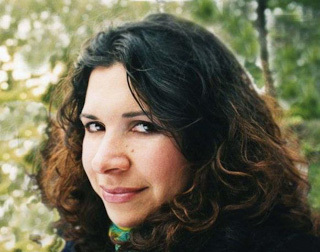 Iris Almaraz is an accomplished editor and filmmaker. After Studying filmmaking at San Francisco State University, a number of her short films have screened internationally, and received numerous awards. This is her first feature. Gabriel Gustavo Ramos (guest director/writer) has identified as an artist since the age of five. After working his way into a film education at SFSU, he's become passionate about immigration and transgender issues in his films and artwork. He's currently in production for a new film, STUCK ON THE LINE, a story of coming of age, family, and personal histories.